One of the most often overlooked aspects of your accounting software is that the data inside is usually quite easily accessible for more advanced reporting and targeted analysis allowing you to answer complex questions simply and drill into the data to see the detail when required. Usually this discussion is labelled as ‘Business Intelligence’ and while there are many tools out there that you can purchase, or even download for free, the reality is that every business has the software to get started already installed on almost every computer they have – Microsoft Excel. Business intelligence software has many advanced features and in the hands of a skilled consultant can produce excellent results, but Excel has some great features as well to get you started including charts and pivot tables. For the more adventurous there is now also Power Pivot. To get started you first need to connect to your data. This is accessed from the Data tab in your Excel workbook (see image below) and while a relatively simple process to connect, for the uninitiated you may want to call your friendly Acacia support consultant. Once connected, the data can be as simple as a sheet, but it is from here that you can start to create your charts and Pivots. Let’s look at a simple Pivot taken from a sample database. On the left hand side, we have ‘Slicers’. These are simple but powerful ways to filter or ‘slice’ your data with a few clicks. In this example we have selected September 2015 and 2016 and our RETAIL and TRADE customers. 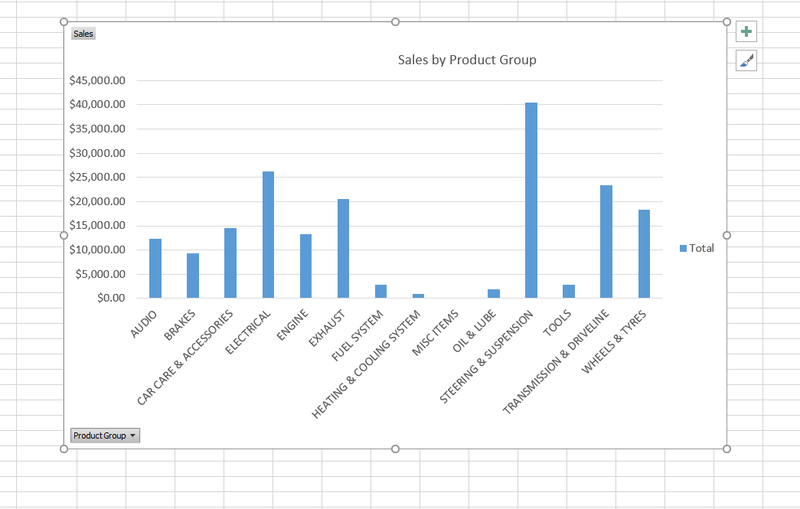 In the Pivot table we have then summarised our sales by Customer and Product Group with totals for units sold, sales, cost of sale and gross margin. This literally takes minutes to create. 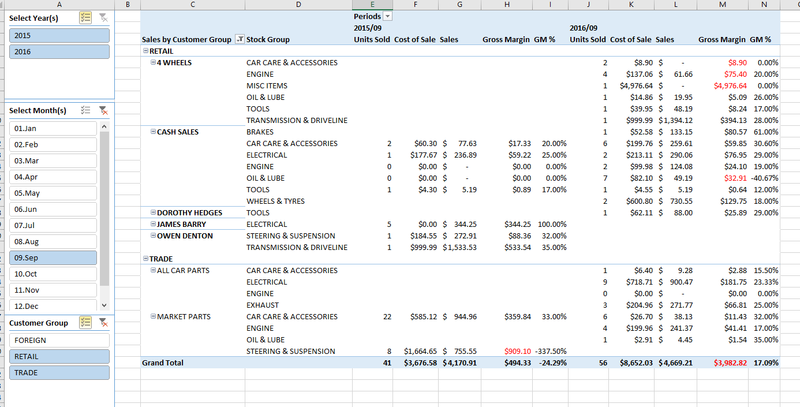 If we look at Engine sales in the RETAIL area, we have made a loss on these sales. To drill down into this further, simply double click on the number of interest to see the actual sales transactions. A new sheet appears and the actual transactions are displayed for you to determine what may have happened. Once finished, simply keep or delete the sheet – nothing will be lost. This is just one view of your data and the options are endless. Think of it and l am sure we can create it – as long as you are allowed to access it! If you would like any further information on this or any aspect of your business software, just contact us on 03 9899 2710 or fill out the form below for more information. Thanks for your thoughts, Manoj.